On Thursday afternoon via The Ford Theatre at the Country Music Hall of Fame and Museum, the Americana Music Association announced the nominees for the 2015 Americana Music Awards. Hosted by The Milk Carton Kids and featuring John Hiatt, Nikki Lane, and the First Family of the Banjo—BÃ©la Fleck and Abagail Washburn—they announced the nominees in the six major categories. The event was streamed through Music City Roots. The Awards will happen Wednesday, September 16th at the Ryman Auditorium in Nashville as part of the greater Americana Music Conference. Four Lifetime Achievement Awards are also regularly handed out in the fields of songwriting, performance, instrumentalist, and a “Spirit of Americana Award, Free Speech in Music” award. Stugill Simpson, Shakey Graves, and Lucinda Williams lead the nominees, with all three receiving nods for Album, Song, and Artist recognition. Sturgill’s guitar player Laur Joamets also gets into the action with an Instrumentalist of the Year nomination. Last year’s winners included Jason Isbell for Artist, Album (Southeastern), and Song of the Year (“Cover Me Up”), Sturgill Simpson for Emerging Artist of the Year, Buddy Miller for Instrumentalist of the Year, and The Milk Carton Kids for Duo or Group of the Year. Laur, Sturgill, Doug, Punch Brothers! Sturgill’s gonna be the one to beat, I think. 🙂 But nice to see Lee Ann Womack up there! And I really liked the Lucinda Williams and Rhiannon Giddens albums, too. I think that’s a very strong set of albums. I would think that Sturgill has a good chance of winning. However, Lucinda’s album was very well received in roots music circles and she’s an “Americana heavyweight.” Also, Rhiannon Giddens’s album has been getting a lot of buzz. Glad to see FAK finally recognized by the Americana Music Association, but I’m not sure they should be up for “emerging artist of the year”, given that they have been around for at least five years and have been considered “mainstream” in Sweden for most of that time. Yeah, I found that a little curious too, though I’m glad to see their name here. Just like some of country’s awards, the “Emerging” and “New” artist categories are sometimes reserved for artists the industry feels need to be recognized, but can’t fit in the other categories. Frankly, I’ve been saying First Aid Kit should be considered for the ACM and CMA Duo of the Year. They could find success in the mainstream if they were just given a chance. It seemed a little odd to me too seeing them in that category. However, I hope they win. Love me some FAK. I don’t think location matters so much. Their primary musical influences are Gram Parsons, Emmylou Harris, and Townes, so in that sense they fit the Americana definition quite well. I would like to add that if it wasn’t for Trigger and this website, chances are I would have never discovered FAK. So, thank you, Trigger. I think it would make sense for Sturgill to really clean up this year, the way Isbell did last year. It would be good for Americana I think also. Isbell won artist of the year last year and with Sturgill having the huge year he had, it makes more sense that he should win it this year. Isbell is prepping his new album, which would make next years awards really big for him. It could definitely happen, but I think Sturgill is somewhat less likely than Isbell was to win the trifecta, if you will. For one, Jason is more obviously Americana (whatever that is). Also, with Southeastern, there was this sense of destiny fulfilled. If you were a DBT fan, you knew who he was since 2003, when he came out of nowhere with the songs Outfit and Decoration Day from the Decoration Day album. Songs that I still love to this day. Then, his previous solo albums were all good, but not quite great. The greatness of Southeastern was what we were all waiting and hoping for. Saw Sturgill live recently and my girlfriend and I were both really struck by his guitarist’s versatility and talent, glad to see him singled out for recognition along with Simpson himself. Seegers’ album was also a favorite of mine last year. I sure hope that Doug Seegers gets Emerging Artist of the Year. He is a remarkable talent. I know nothing about Rhiannon Giddens – I will have to pick up some of her music. That is her only solo album. She is also the leader of the Carolina Chocolate Drops. Hubby Jenkins, who is nominated for Instrumentalist of the Year, is also in that band. She also has a few tracks on that “New Lost Basement Tapes” project with T Bone Burnett and Elvis Costello, Marcus Mumford, Taylor Goldsmith, etc. just give all the awards to Shakey Graves. Right on. I would love to see Sturgill score a hat trick this time around, as Isbell did last year. Also, I still have never listened to this Shakey Graves guy, even though I keep hearing about him. Do y’all think he’s worth checking out? Yes, absolutely. He only has one album available through digital platforms, but every year in February or March, he makes available everything he ever recorded (a bunch of EPs and LPs) for “you name the price”. As for recommendations, “Dearly Departed”, “Perfect Parts”, “Pansy Waltz”, and “Call it Heaven” are excellent. Also, YouTube “Roll the Bones”. I have loved Lucinda and Lee Ann for eons, honestly I don’t know any of the others. Americana is basically the best fit for Shakey Graves as a big-tent genre, but even here he kind of feels like an odd duck. Then again, I guess trying to come up with something like “ghostly acoustic jazz-punk” doesn’t make for great copy in promoting him. Wow a decent award show. I just don’t think of Strurgill as Americana. And get on FAK as an “emerging artist” like you did the mainstream country artist (who’s name escapes me) for best new artist (again) at the ACM’s. In as much as Americana is an actual genre with a particular sound, I would agree that Sturgill doesn’t quite fit (and I would say the same thing about, say, JD McPherson), but I think part of what the Americana tent is set up to do is provide a platform for various roots-oriented artists who wouldn’t otherwise have one, and as Sturgill isn’t currently part of the part of the mainstream country music power structure (or the Texas country music power structure) I guess he qualifies for inclusion. Speaking as an old roots rocker and subscriber to the old No Depression print magazine, I would that say the type of music that Sturgill plays has strong appeal to the more rootsy/country (e.g., Steve Earle, Lucinda Williams, John Hiatt, Drive-By Truckers, Elizabeth Cook, Jim Lauderdale, Buddy Miller (solo albums)) wing of the so-called Americana community. Another thing I think is interesting is the fact that Lee Ann Womack has apparently successfully transitioned into being considered an Americana act, despite the fact that she was previously a mainstream county artist with an number one Adult Contemporary smash. I assume it’s because she’s on Sugar Hill Records now. Meanwhile, Brandy Clark didn’t get a sniff from the Americana Music Association for her first record, even when she was on tiny indie label Slate Creek, presumably because she writes hit mainstream country songs, so she is considered to be part of that camp. None of the observations are necessarily intended as complaints, by the way, I just think it’s interesting to take note of how things work. One final thought: speaking of Sugar Hill Records, how about giving some love to Don Williams? The CMA and ACM don’t seem to remember that he exists anymore. Why not nominate him for an Americana award? His last album was damn good. 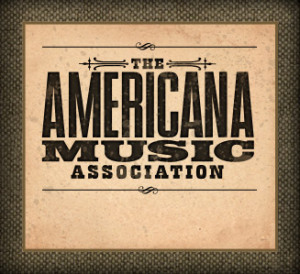 Sugar Hill is part of the Ameicana Music Association, as are the labels of all the artists nominated. Not sure about Slate Creek, but yes, it sort of shows where the lines are drawn. I do think the Lee Ann album is more in the Americana wheelhouse than the Brandy album. However, I do think that Brandy gets a good amount of love from the Americana community at large. For example, I just checked the No Depression site and saw that 12 Stories was #18 in the reader’s poll for 2013. Sturgill’s High Top Mountain came in at #35. A want Lee Ann or Rhiannon or Lucinda simply because I want a women to win… also Rhiannon’s album was astounding and her performance on Letterman was astounding and real shift from her CCD work, which I enjoy a lot. Though really the nominees all are better than anything the CMAs or ACMs have done in the last several years and all are of course more country than Sam Hunt is or than Taylor Swift ever was. Sturgill should get the first 2; maybe 3. (Die hard SS fan, but Turtles doesn’t do it for me. But I certainly understand why it’s nominated). IMO, “Just Let Go” is the best song on Metamodern. And yes, Laur Joamets is the best guitarist no one (outside of this crowd) has heard of. Dude is dirty on all kinds of levels. Side note… Now that Sturgill has added keys/organ (something I wrote on this website about 5 months ago that I thought they should consider), I now would love to see Laur sit down on long jams with a pedal steel… This would put icing on the cake for me. Lucinda Williams is obviously a talent but to me, her music just drones and drones. Kinda depressiing. But that’s just my two cents worth. Sturgill’s the man, tho!